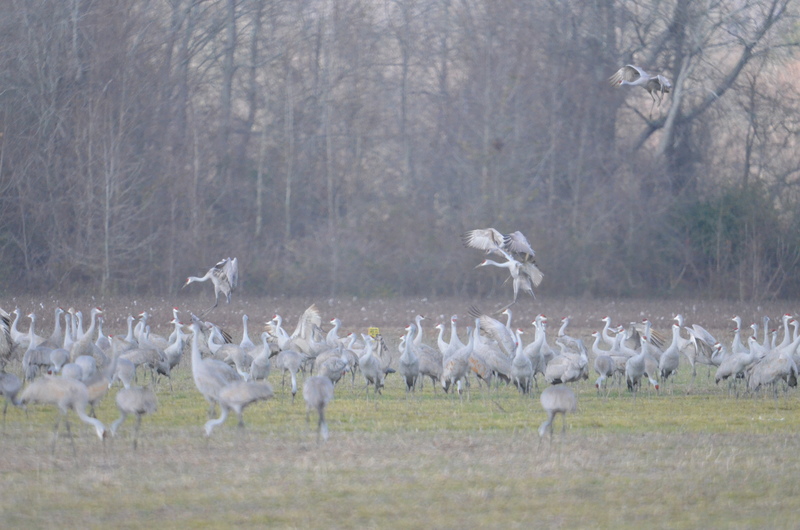 The Sandhill Cranes overwinter in northern Alabama near Weiss Lake. 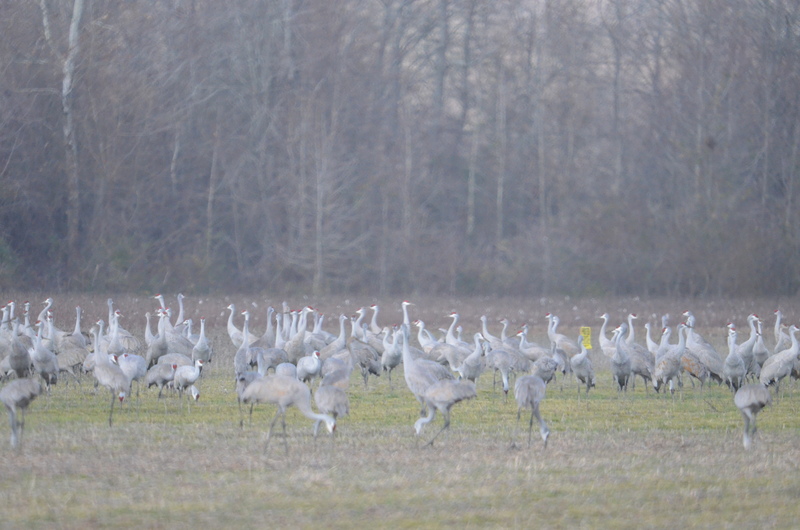 The flocks have been getting bigger as the word seems to be spreading among them. 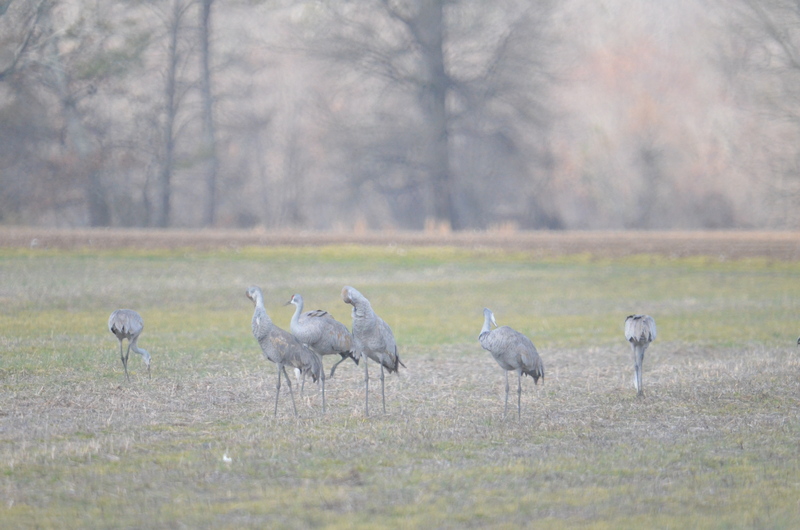 They concentrate on damp/flooded cotton and soybean fields where they can find various small creatures to eat. 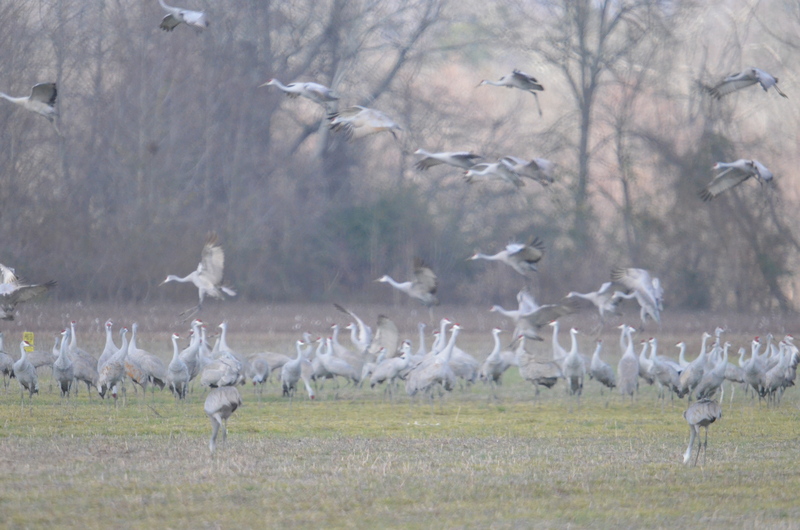 While we were parked and taking photographs several flocks flew in to join the main one. They spread out in the morning and then gather together. The next few shots show the process. They aren’t spooked by cars, so you can quietly pull off the road, turn off your engine and take pictures. 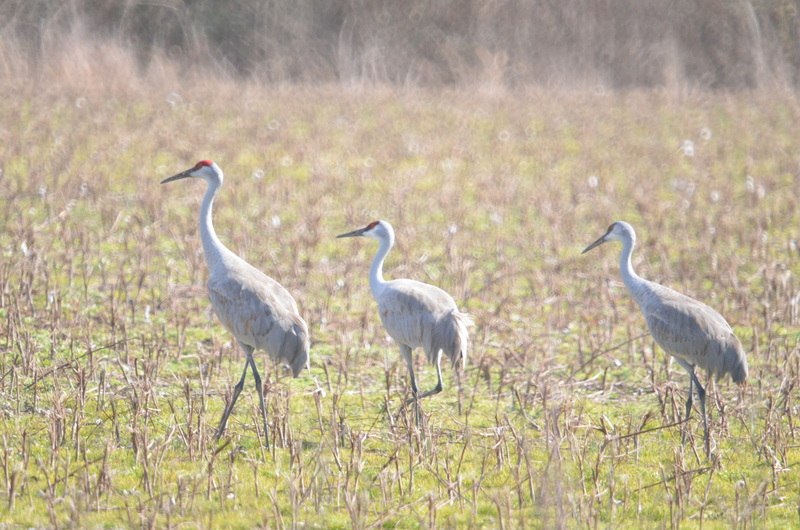 These were with a relatively inexpensive 500mm mirror lens.